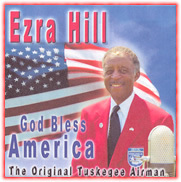 MSgt Ezra M Hill was born in Newport News, VA in 1930. He moved to Washington, DC as a child and lived there until the age of seventeen. 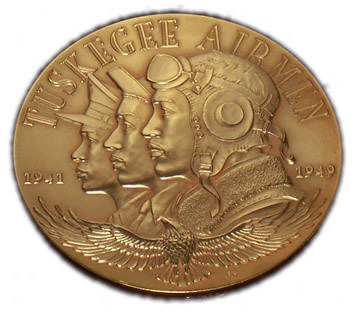 He enlisted in the Army Air Corps at Ft Meade,MD in July 1947. He completed basic training at lackland AFB, TX and in October 1947 was assigned to Lockbourne AFB, Columbus, OH. His primary duty was in crash and rescue, however, because of other talents which were discovered early on, he spent most of his time in "Special Services Activities". Listen to "God Bless the USA"
SMF - HAVEN OF HOPE, INC.
Teh SMF-Haven of Hope Foundation in 1996, under the leadership of Exra and Mable Hill, set it's sites on expanding it's mission to Newport News, Virginia. They envisioned a mission called "Haven of Hope" for the lower part of Newport News, Virginia. The area called "The Bottom" has acquired this name for two reasons: geographically it is at th ebottom of the Virginia Peninsula, and the residents of this area are at th ebottom of the social-economic scale. The President and Mrs. Bush show appreciation for Ezra Hill's book, "The Red Tail Angels A Story of the Tuskegee Airman."